Helix TCS, Inc., through its cannabis seed-to-sale tracking and point-of-sale subsidiary, BioTrackTHC, has officially deployed North Dakota’s government medical cannabis traceability system. The system “will track and trace the state’s entire medical cannabis supply chain for compliance and regulatory oversight,” notes a statement from Helix TCS, a provider of ancillary services for the legal cannabis industry that reports having met all go-live deadlines for its government-contracted traceability solutions. For more than 20 years, North Dakota Rep. David Monson, R-Osnabrock, has tried to pass legislation to regulate the production of hemp in the state. Though hemp has been recognized as a legal crop in North Dakota, Monson said, the state kept getting "stymied" by the U.S. Drug Enforcement Agency, which claimed hemp was marijuana and, therefore, illegal. But the federal 2018 Farm Bill took hemp off the DEA's list of controlled substances, separating it from marijuana and placing it under the supervision of the Department of Agriculture. The North Dakota House on Monday passed a series of bills aimed at expanding the state's medical marijuana law. Lawmakers passed four bills that would amend the state's medical marijuana law, including one that would add 13 new medical conditions to the current list of debilitating medical conditions. Rep. Robin Weisz, R-Hurdsfield, chairman of the House Human Services Committee said Monday that his committee heard a number of bills related to the state's medical marijuana program. Some of the bills had "overlapping areas," so committee members, instead, identified four areas to include: doctor-patient relationship, additional conditions, increasing the allowable amount of medical marijuana and authorizing marijuana edibles. North Dakota lawmakers again wrestled with the state’s medical marijuana law Monday, amid some frustration that the drug isn’t yet available to patients almost two years after the state enacted the voter-approved statute. Fargo Democratic Rep. Pam Anderson, an early medical marijuana proponent, pushed a bill adding several conditions that would qualify for the drug’s use, including autism, anxiety disorder and Tourette syndrome. It would also allow people from other medical marijuana states to obtain the drug here and expand the types of health care providers who could approve its use for patients. "I think what we passed last time ... for the most part was a good bill," Anderson said. "What I think we're all trying to do now is really make it better." After an effort to legalize recreational marijuana failed at the ballot box, a North Dakota lawmaker said this week she plans to introduce legislation reducing penalties for possessing a small amount of the drug. Marijuana possession is currently a Class B misdemeanor under state law, but there are exceptions for medical use with a valid certification and card. 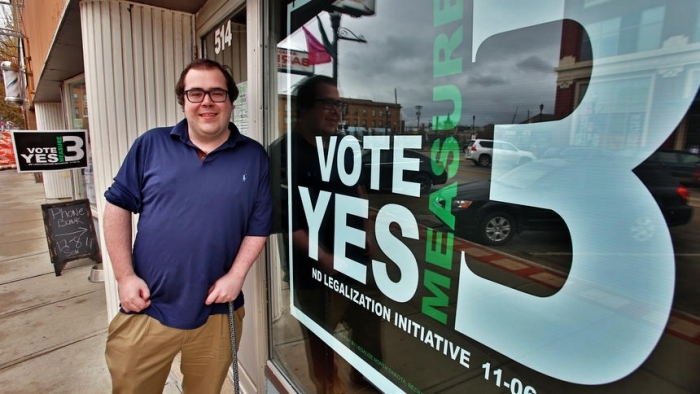 Legalize ND leader David Owen said they are “100 percent” going to try again in 2020 to pass a recreational marijuana bill in North Dakota. Despite failing by a 59 percent to 41 percent margin earlier this month, Owen said they are using North Dakota attorneys to write the new proposed language for the ballot measure. What will be different, he said, is that the proposal will include provisions for tax revenue from sales and limits on the amounts of marijuana an individual can grow or possess. Other regulations are also planned. “It’ll be a more traditional legalization bill,” he said, similar to those that have passed in other states. 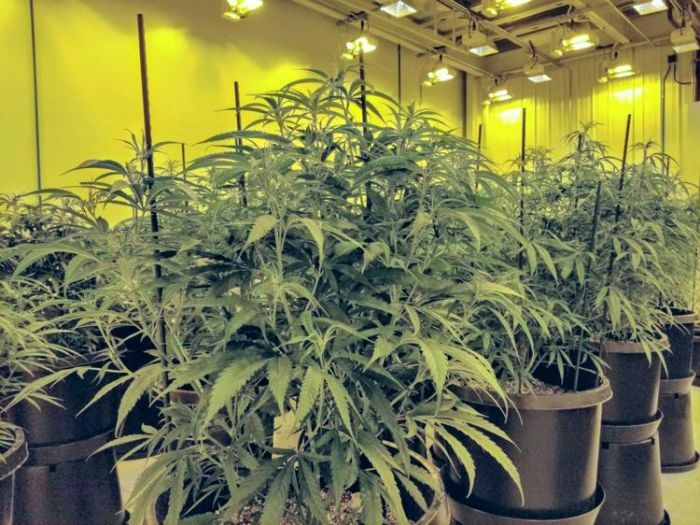 North Dakota: If recreational marijuana is legalized, how will it be taxed? 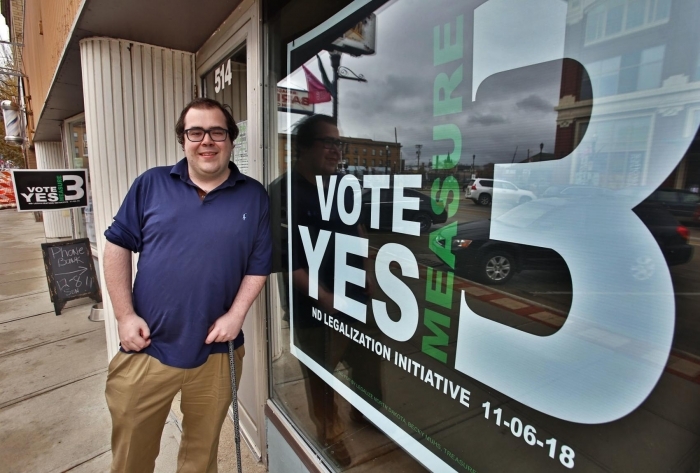 Recreational marijuana sales could bring in a lot of tax dollars, but there is still nothing set-in-stone to determine how that money would be spent if Measure 3 passes. It's a question, our State Legislature will decide. As your local election headquarters, KX News has been following the issues and topics you'll find on your ballot Tuesday. The tax commissioner has already said, recreational marijuana will be subject to a 5 percent general state sales tax if it becomes legal. But it could also be taxed on top of that, for a sin tax, like alcohol and tobacco currently are.